Hi Carol! Can you tell us a little about your latest book? 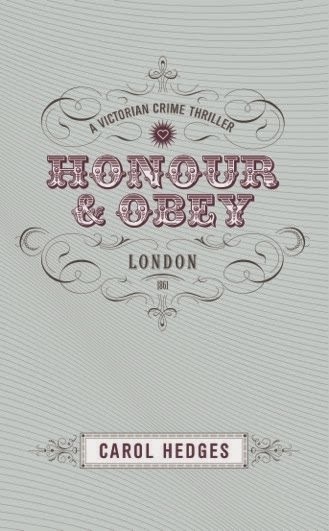 The book is called Honour & Obey. 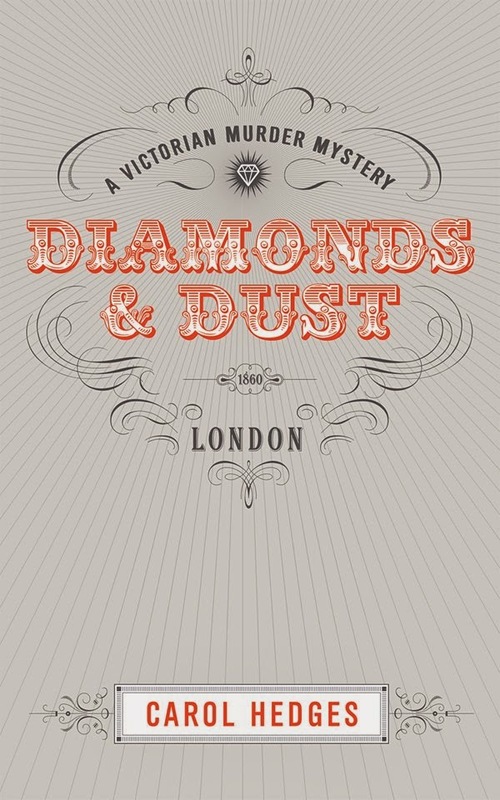 It is the second in my Victorian crime fiction series. Set in 1862 London, it features two detectives, Stride and Cully who are faced with a serial killer who targets young women. There is also a romantic subplot and a lot of minor characters. Think Charles Dickens and you get the general idea. How did you come up with the idea of the cover? The covers for all the books have been designed by David Baird, a friend and porfessional graphic artist. That makes them special, in my eyes. They are very different to the ‘normal’ Victorian historical novels, in that they resemble the front page of a contemporary newspaper. I didn’t want to go down the ‘crinoline and ringlette’ route, because the books do not fit into that type of novel. David caught my vision perfectly, I think and it is such a thrill to think my covers are personal, and do not resemble anybody else’s. Even when I was writing teenage novels, they were always crime focused. I guess I must have some inner killer instinct! No, seriously, I love writing and reading crime fiction because it deals with something basic in human nature - the propensity for evil. Crime fiction lifts the lid on the dark side of human nature and says: ‘Look ... here is this, and this is in you.’ It’s the same fascination that used to draw crowds to watch public executions in the past. We shy away from evil, but we are fascinated by evil people. I add a new twist in my books in that there is an underlying humour and sense of the absurd running through all of them. Otherwise, they could be too dark. I became a writer by becoming a reader. Age 4, I was dumped in my local library one Saturday afternoon, and discovered books. From then on, I was hooked on the written word . I’ve read voraciously since a tiny child, so for me, writing is the natural extension. I don’t know ANY writers who aren’t readers. Most of us have a HUGE TBR pile by the bed. Mine has diminished slightly, as I’ve just finished writing the 3rd book in the series, so the Victorian History contents of four local libraries have now been returned. Sometimes, they emerge with the characters themselves. Violet Manning and Emily Benet, the two seamstresses in Honour & Obey just had to have sweet names ... and Violet and Emily were popular Victorian names of the time. Some names are pastiche: Detective Inspector Leo Stride is pastiche of Inspector Lestrade, in Sherlock Holmes. And some names just reflect (humorously) the nature of the character: nobody called Morbid Crevice could EVER be a pleasant man! Who or what inspires you?This is a hard one! I think, and maybe this is a strange answer ... I am inspired by all my readers. Writing is a very lonely pursuit, involving sitting on one’s own making stuff up in your head. When people read my books, and leave lovely reviews, or tweet me to say how much they’ve enjoyed one, my heart lifts and I want to write some more. That’s why reviews are so important for writers, and why I make a big deal on Twitter about encouraging people to leave them. It’s like being a chef: seeing people eating and enjoying a meal you put together from a recipe you came up with inspires you to go on cooking and inventing. I write in the back bedroom. I have an old eMac (remember them?). My desk looks out over the garden, with a pond full of Koi. It is very tempting to stop work and watch them, but also very peaceful. The man thing about ‘the writing room’ is that my computer does NOT have internet access, so I can’t constantly be diverted by messages from the outside world. I’d advise all writers to consider doing this; it really helps you focus on the story. My first choice would have to be Mr Charles Dickens - I’d love to hear what those mean Victorian London streets were really like! And he was such an eloquent speaker, so I know he’d be a great dinner guest. Then, a 17th century American poet, Ann Bradstreet. She wrote so movingly about her life and family, and was clearly a doughty character. My third guest would have to be Margaret Attwood .. there isn’t a single novel of hers that I haven’t devoured and admired. Her variety and style are amazing and her ‘’take’’ on topical issues unrivalled. I am totally and unashamedly addicted to chocolate. Gosh! I’d like to think Scarlett Johanssen, but realistically, given my age, it’d have to be someone like Dame Helen Mirren. Or some elderly cartoon character? This year, my lovely husband and I celebrate our Ruby Wedding (40 years). I’d love to visit Venice, the most romantic city in the world, with the most romantic man in my life. Can’t get better than that! 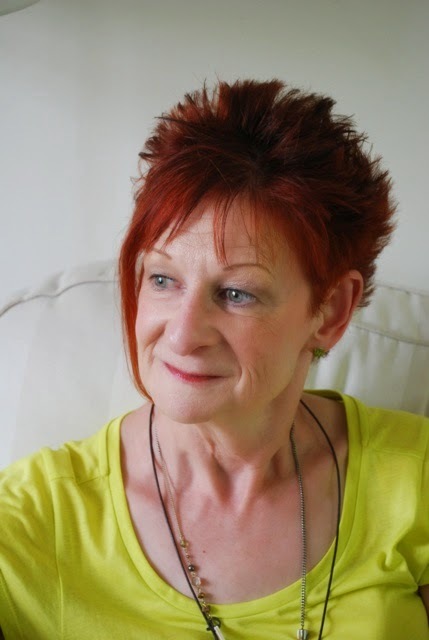 Carol Hedges is the successful UK author of 13 books for teenagers and young adults, one ebook and one adult historical novel. Her books have been shortlisted for various prizes and her YA novel Jigsaw was long-listed for the Carnegie Medal. Send her a Friend request on Facebook. Visit her Amazon author page. Ooh! I love that you names a character after Lestrade. He's not only amazing but oh-so dishy. Loved the background behind your novels...must add them to my shelf. thanks Sarah ... love that you love it!